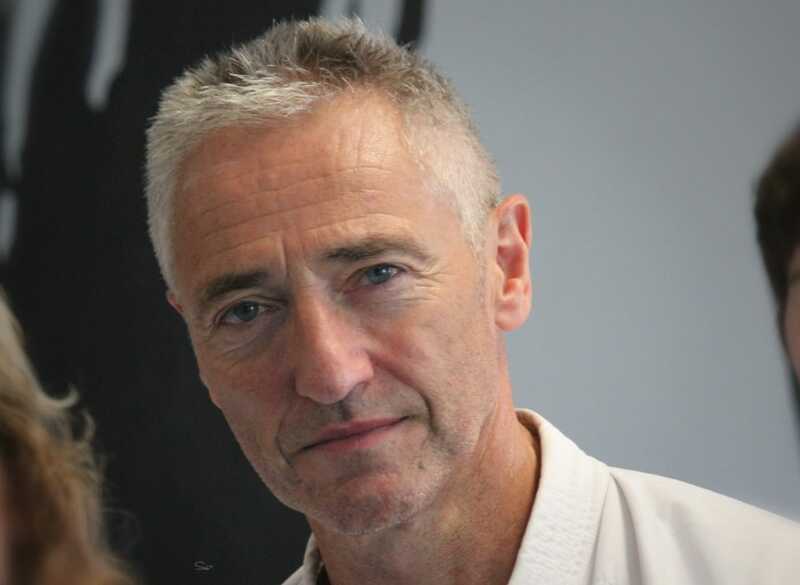 Simon Bligh began karate as a 14 year old in 1974 because he wanted to be a hybrid David Carridine/Bruce Lee. He was lucky to train in Liverpool England which had very strong Shotokan dojo of the KUGB . 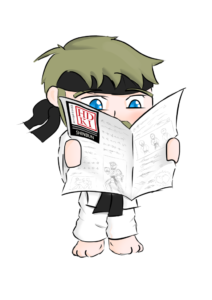 In 1983 he moved to London and became a member of Enoeda Sensei’s Marshall St dojo. He remained there until it closed 20 years later, except for a year living, working and training in Japan in the early 90s. 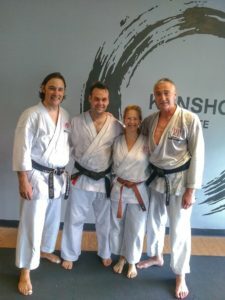 He met Scott Langley Sensei in 2003 joined the JKS and a close friendship developed leading to 5 training trips to Japan. 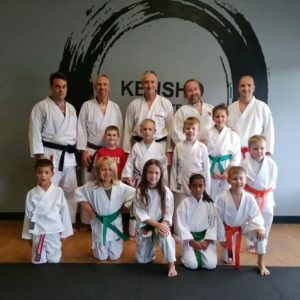 He has a wealth of experience in Shotokan Karate and believes in “Karate for everyone, for all your life”. 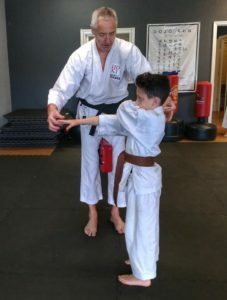 Simon is also a full time comedian and as such his teaching style is very enjoyable and relaxed whilst still delivering top quality karate. He is now Technical Director of HDKI GB. 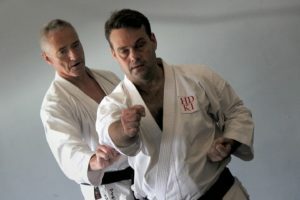 Simon Bligh Sensei teaching for HDKI USA this weekend – challenging their keri-waza on many levels.